On December 10, Indian supporters of the International Committee of the Fourth International (ICFI) held a successful public meeting in Sriperumbudur, a global auto and electronic hub about 40 kilometres from Chennai. 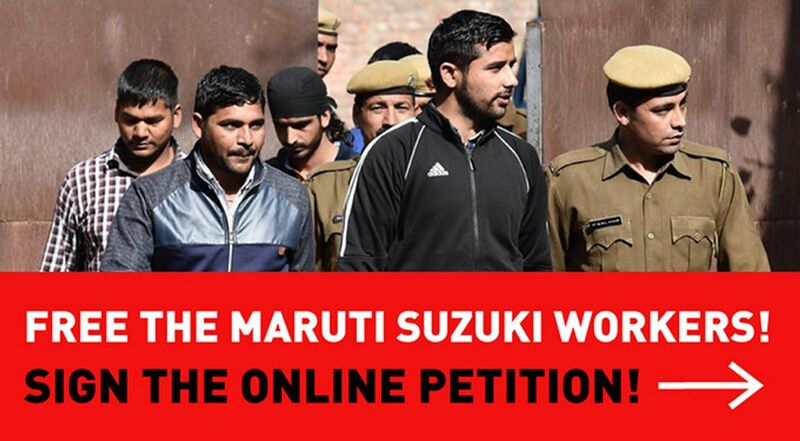 It was a part of the ICFI’s global campaign for the release of framed-up Maruti Suzuki workers. ICFI supporters in India conducted a month-long campaign in the workers’ residential areas in and around Sriperumbudur and the Oragadam Special Economic Zones (SEZs), winning significant support for the campaign. Workers from Renault Nissan and Integral Coach Factory (ICF) were among those attending the meeting, which was conducted in Tamil and English and streamed live via Facebook. A summary of the speeches was given in Hindi. Just as the meeting was about to start, two officials from the Crime Investigation Department (CID) of the state police, attempted to enter the hall, claiming that prior police permission was required. They were stopped at the entrance by meeting organisers who insisted that the indoor meeting did not require a police permit. The discussion continued for nearly 15 minutes before the CID officials ended their attempts to disrupt the meeting. Last April, when ICFI supporters held a demonstration for the jailed Maruti Suzuki workers at the Sriperumbudur bus terminal, police and CID personnel took photographs and videotaped the event in an attempt to intimidate participants.